Palm Desert promises a natural paradise complete with warm desert air, spectacular vistas, and a one-of-a-kind community. 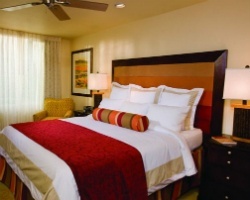 Call the Inland Empire your home-away-from-home with a luxurious timeshare unit at the Marriott Shadow Ridge Enclaves. Browse affordable resales and rentals online today. 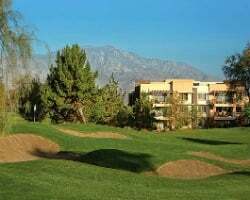 Located directly across from its sister property, the Marriott Shadow Ridge, the second phase of the property, dubbed Marriott Shadow Ridge Enclaves, offers incomparable accommodations in the heart of Palm Desert. With beautiful grounds highlighting some of the area's unique plant life, the Marriott Enclaves offer a picturesque escape for families and couples alike. Complete with on-site amenities like an 18-hole golf course, a lavish swimming pool, and a close proximity to the best area attractions, you'll be able to craft the perfect getaway at the Enclaves. The Enclaves portion of the larger Shadow Ridge resort houses efficient studio units as well as multi-room villas with spectacular views of the landscaped grounds and golf course. Ideal for groups of up to eight, the villa-style units come equipped with thoughtful amenities and useful features designed to make you feel at home. 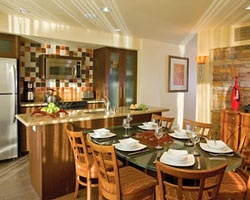 Enjoy meals in your full kitchen, or lounge in the spacious living or dining areas. You can enjoy quiet afternoons out on your private balcony or even take advantage of the convenient washer and dryer in your room. However you seek to enjoy your trip, you can do so with the luxury accommodations at the Shadow Ridge Enclaves. If you're ready to lock down amazing accommodations of your own, you can get started today. Fill out the form on this page to learn more about owning a timeshare at the Shadow Ridge Enclaves, or call a representative at 1-877-815-4227. Purchasing a timeshare resale at the Marriott Shadow Ridge Enclaves can result in years of amazing California vacations at all-time affordable rates. You can save a fortune by shopping for Shadow Ridge timeshares on the resale market, ultimately leaving more money in your pocket to spend on flights, dinners, and more. Timeshare resales, unlike traditional timeshares, are offered for sale by current owners at the resort. This means prices for the same ownership options at the Enclaves are available for a fraction of the cost—you could save up to 70% on timeshare accommodations, giving you the deal of a lifetime. Resales at the resort are available in deeded fixed and floating Marriott timeshare weeks, spread across the brand's Gold and Platinum timeshare seasons. You'll also find that timeshares are available in different price points, unit sizes, and ownership intervals to enable you to find a timeshare you love that fits your vacation preferences. 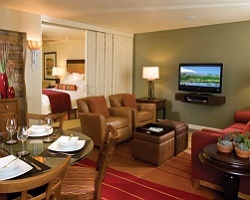 Also, you'll be able to take advantage of some key benefits from the Marriott Vacation Club. The Shadow Ridge Enclaves are affiliated with Marriott Vacation Club, one of the most well-known timeshare brands in the industry. As a timeshare resale owner at the resort, you'll be able to make reservations using your deeded week starting immediately, but more opportunities to enhance your vacation experiences lie within upgrading your ownership. Converting your week into Marriott Vacation Club Destinations points can enable a more flexible way to book and plan vacations to Palm Desert, as well as to other destinations across the globe. You can use your points to explore additional vacation opportunities at other Marriott resorts, broadening your horizons and allowing you to get the most out of your resale. Marriott Shadow Ridge the Enclaves is also affiliated with Interval International, one of the world's premier timeshare exchange companies. Exchanging your timeshare resale is a great way to gain different vacation experiences, and can take you to popular travel destinations across the globe. Simply obtain an Interval membership, deposit your Palm Desert accommodations into their exchange network, and trade for stays at comparable affiliated resorts. Additionally, since the Shadow Ridge Enclaves are an Elite-rated property, you'll be able to exchange with other high-rated resorts throughout Interval's network. The Marriott Enclaves at Shadow Ridge incorporate desirable amenities with fantastic on-site services to create a comfortable and convenient stay. Start at the resort's swimming complex, which includes six different swimming pools and a whirlpool spa to foster ultimate relaxation. Golfers will cherish the resort's golf course, the Shadow Ridge Golf Club—with spectacular fairways and greens just steps from your door, endless days on the links await all guests. Stay active at the fitness center or make use of the jogging trail to keep on top of your exercise goals. Four on-site dining options—The Grill at Shadow Ridge, Chuckwalla Pool Bar & Grill, Snake Bites Pool Bar & Grill, and The Bunker at Shadow Ridge— make lunch and dinner easy. The area surrounding the resort is rife with things to do and see. The San Jacinto Mountains provide easy solutions for those who want to explore the magnificent desert landscape, with hiking trails and tours like the Palm Springs Aerial Tramway. Shoppers should visit the Desert Hills Premium Outlets, while those after more cultural destinations can enjoy the Living Desert Zoo and Gardens and the Palm Springs Air Museum. Day trips throughout the area can yield other exciting attractions in destinations like Los Angeles and Las Vegas, both within driving distance from the resort. Already Own at Marriott’s Shadow Ridge Enclaves?